She won’t have a clue what all the fuss is about. You mustn’t spend a fortune. These were just some of the bits of advice I was given in the lead up to planning Elsie’s first birthday. But of course, as new parents, we usually prefer to figure out these things for ourselves don’t we? 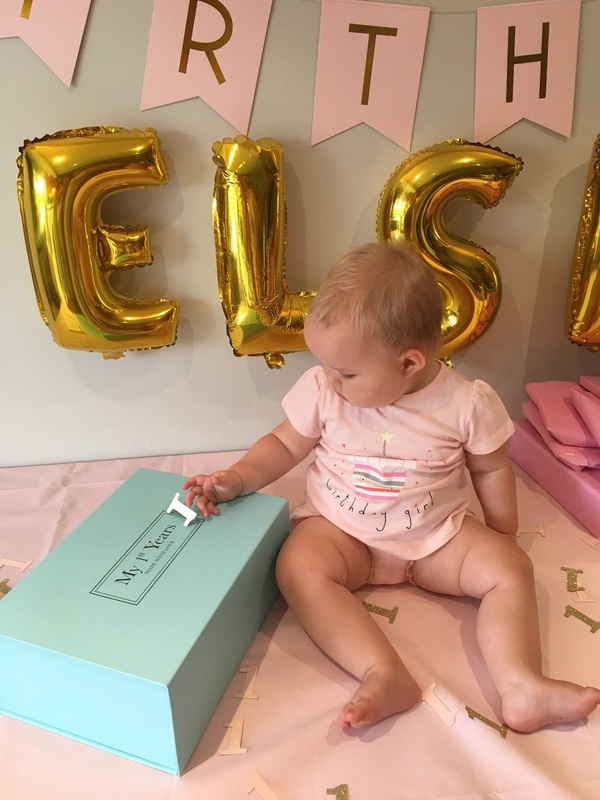 The first birthday is a huge deal after all. Ok so perhaps there was some element of truth to the advice, but I’d been planning and saving for this momentous occasion for some time so there wasn’t much that was going to stop this very excited Mummy. It’s no secret that one of my great pride and joys is our Joolz pram. Even a year on I haven’t gone down the lighter stroller route like most of my friends as I still absolutely love using it. 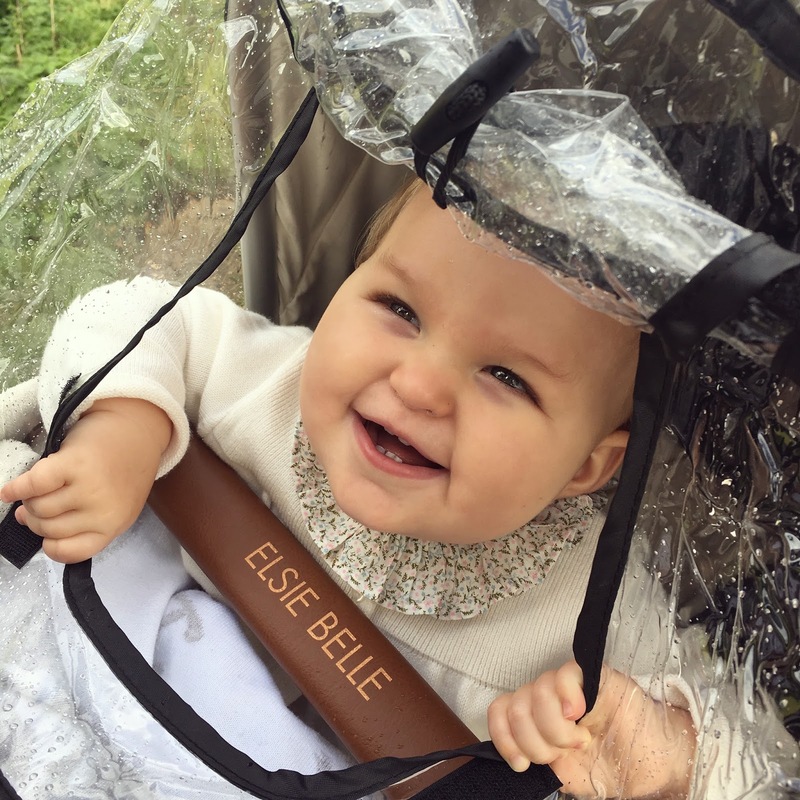 Just when I think I couldn’t love it anymore, Joolz very kindly sent us an amazing personalised bumper bar just in time for Elsie’s birthday. So technically this was more a gift for mummy rather than baby, who really doesn’t understand why I don’t want her to wipe her mucky paws all over her beautiful new personalised bumper bar. But seeing as Mummy still looks like she’s been dug up and always regrets whatever mismatched and screwed up ensemble she’s wearing most days, she might as well be pushing a gorgeous pram to take the focus off hey? We are currently renovating our house from top to bottom and while the Hubster is consumed with the important things like electricity and central heating, I’m getting a little ahead of myself and focusing on all the really important things, like cushions and curtains. Obviously. So when I stumbled on this personalised rocking chair from My 1st Years I couldn’t resist getting Elsie one for her birthday. Ok so a chair isn’t the most practical gift for a child who, unless she’s harnessed in from all angles, won’t sit still for more than 12 seconds, (I counted) but it will look very cute in her bedroom one day and I’m sure (I’m praying) she’ll learn the art of sitting still long enough to make use of it. I also picked up a little personalised rucksack from My 1st Years too, which has been perfect for putting Elsie’s packed lunches in when we go out for the day. 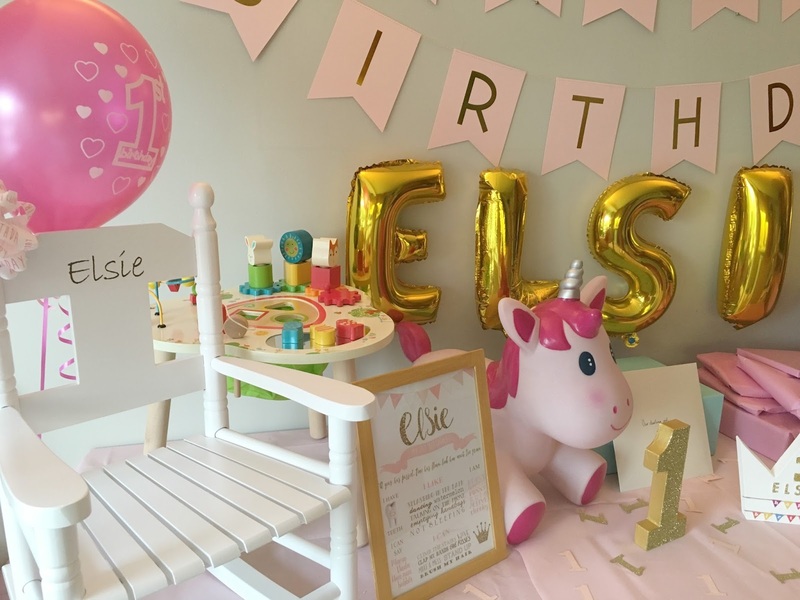 I’d been looking for an activity table for some time with the hope that it would encourage Elsie to stand and play, so when I finally found this one from the Early Learning Centre I was really pleased. It’s really simple and oh so cute in design. With some encouragement Elsie is starting to play well and show interest in how all the little activities work. If you’re looking for a toy that isn’t a complete eye sore then this activity table is perfect. Elsie loves music. It’s hilarious watching her hear the beat of any song and start bopping her head to the beat. The girl’s got rhythm, (I think she got it from me…well she sure as heck didn’t get it from her chicken leg grooving Daddy!) and dancing is definitley something I want to encourage her in as she gets a little older. 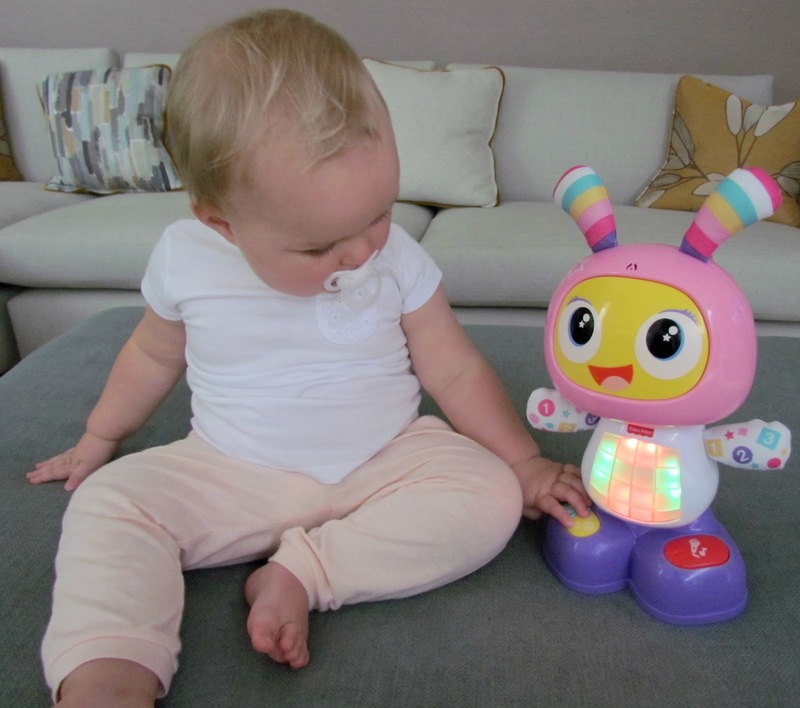 Fisher-Price have recently released BeatBelle, the adorable sister of BeatBo, a musical alien that lights up and grooves to encourage baby to get up and move to the beat. 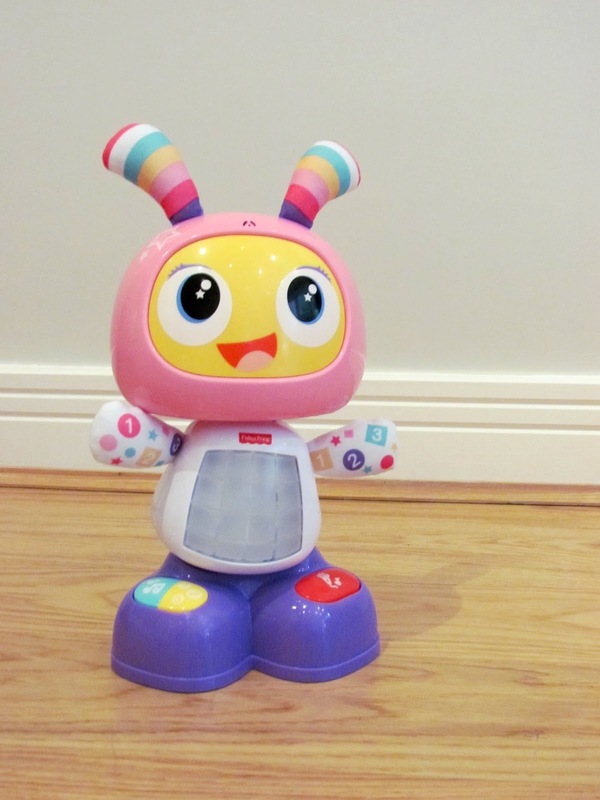 With a bright multi-coloured light up tummy BeatBelle dances and moves along to her music. She comes with three modes of play to grow with baby and she even has a record button to personalise your own musical tune! BeatBelle has gone down a storm in the Albury household. At first Elsie was a little scared of her, well who wouldn’t be if a funny looking alien started moving and singing at you. But she soon warmed up to her and enjoyed tapping away at her feet and bopping to the tunes. It’s not just Elsie who has enjoyed getting down to BeatBelle’s boogie, the rest of the family have had a hoot recording our own voices saying various, all baby appropriate of course, things…’have you pooed?’ is a personal favourite of mine. Don’t judge, we don’t get out much these days and BeatBelle’s alien voice is very funny. I definitely think that as she get’s a little more confident with walking and then dancing she’ll make more use of this musical activity toy and we’ll have lots of fun doing the BeatBelle Boogie! So if your little one is loving their music right now then this would be the perfect gift if you want to hold off on the drum kit for the time being. Thank you to Joolz and Fisher-Price for working with The Enchanting Blog.